December is a fantastic month for video gaming. First, you get about four hours of daylight, so who the hell can blame you for staying inside all day. Second, all of the major releases have hit shelves, so unless you're waiting on something for Christmas, chances are anything you want to play is already in your drive or resting atop your pile of shame. So, approaching the first Saturday and Sunday of the month, I'll pose the question: What are you playing this weekend? I picked up WWE 12 yesterday and will head back to the store for Mario Kart 7 on Sunday. I also got the Legends Showcase for NBA 2K12 and will try to navigate street-ball modes like 21, H-O-R-S-E and the 2-on-2 teammate ladder challenge. 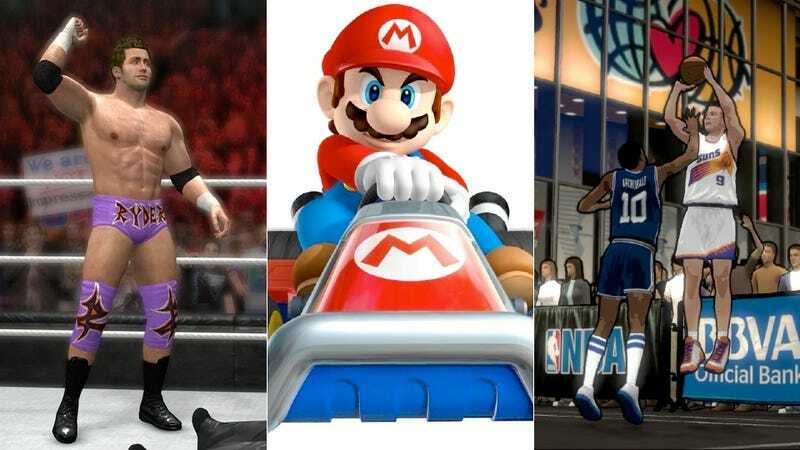 If you finish the last, you unlock full roster control over all historical teams and legendary players, meaning you can trade Michael Jordan to the 1993 Hornets. For dedicated hoopsters, that should be incentive enough. That's what I'll be gnawing on. What about you?